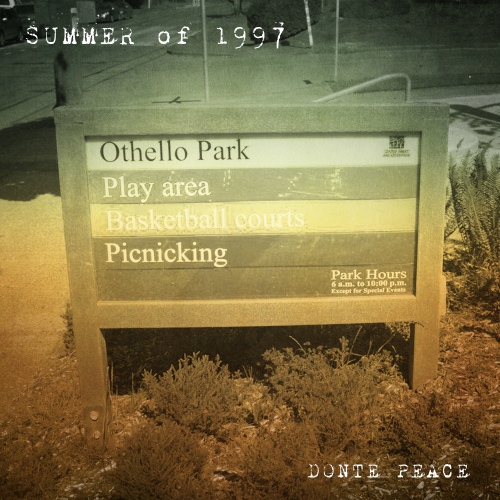 Summer of 1997 can be considered a project or a short documentary or even a time capture of a specific era that embodies Donte Peace as the person he stands to be this very day. Although Donte Peace shows a handful of styles and personalities throughout his short journey, he’s overly inspired from moments & memories and tries his best to capture and make caption through jazzy MaxTrax sounds and smooth B Roc samples. Summer of 1997 is simply (as I like to call it) BBQ music for calm days, Happy Hip Hop with easy on the ear melodies. Don’t call it an EP nor a Mixtape, be sure to call it an independent album.